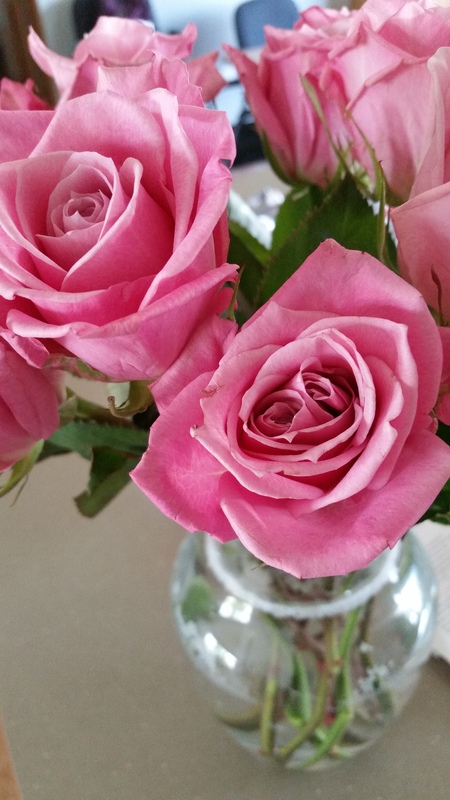 Some roses to appease you! I wish I could tell you that I’ve been off doing IMPORTANT WRITERLY things, but to be honest – the day job took up most of July’s productivity and then last week, I finally came up for air to try to be a good wife and mom to those folks who feed my soul. But I’m back. I’m here. My project workload is now down to a handful of proposals versus a metric sh*tton. And to celebrate my newfound freedom, I’m taking today and tomorrow off. And I’m hoping that I’ll get through the last fourth of edits that I need to make to get AL from sh*tty first draft (SFD) to a less vomitous second draft. There’s still more work to be done, but it’s all about milestones and deadlines. Hope you are all well out there in readerland!